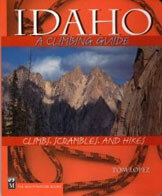 The Ramp is the 95th highest Idaho Peak. 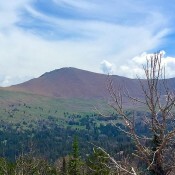 It is one of the many peaks that surround the spectacular Lake Creek drainage. Climbing from Lake Creek will take you by trail to Round Lake in roughly 6.0 miles. The route is crosscountry from there with the crux being getting above treeline through the lush forest. Livingston Douglas provided the climbing route information for the northwest ridge which is set out below. The Ramp viewed from a point near Long Lake in the Lake Creek drainage. Please refer to the North Ridge Route on Smiley Mountain for details on how to reach the upper basin ESE of Round Lake at 9,950′. 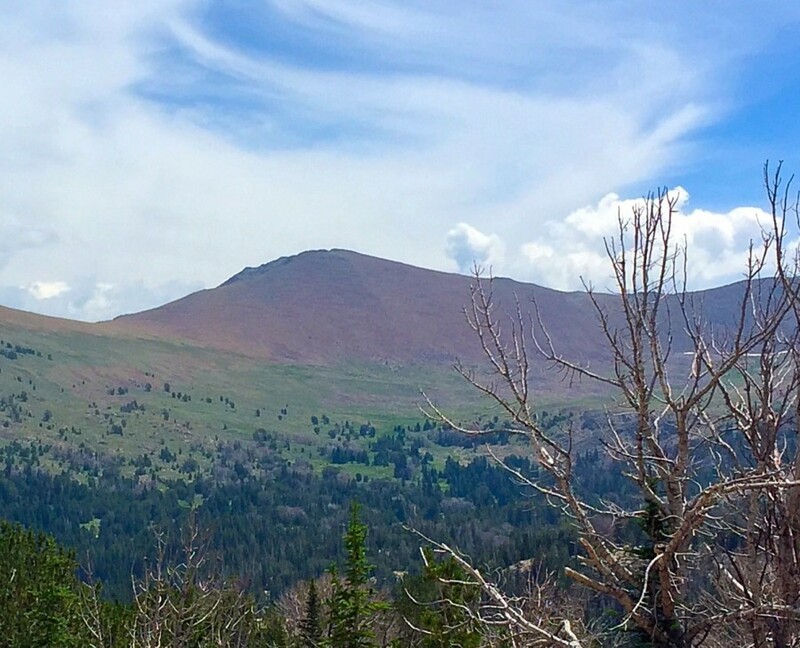 Then refer to the Southeast Ridge Route on Peak 10995/Double U Peak for details on how to reach the 10,500′ ridge saddle between Peak 10995 and Peak 11151. From the 10,500′ ridge saddle, plod your way up the ridge on scree and talus to reach the summit of Peak 11151. Enjoy the views to the north and east down the exposed cliffs that are comfortably away from your safe summit perch.